London is always referred to as a ‘melting pot’ of cultures and food, but unfortunately, for every fantastic independent restaurant, there are three lacklustre chains with average fare. This is particularly the case in its most touristy areas, of which King’s Cross is definitely one. However, with a wee bit of knowledge and a willingness to walk for five minutes, it’s easy to avoid those pesky chains! VOC Restaurant & Bar is nestled in the wee square Varnishers Yard just off York Way, along with Camino (where I went for a cava tasting many years ago) and a few other establishments. It was a short walk from the station on a busy Friday night, and as we wormed our way through the crowds to get to the restaurant, we were relieved to find a calm interior. 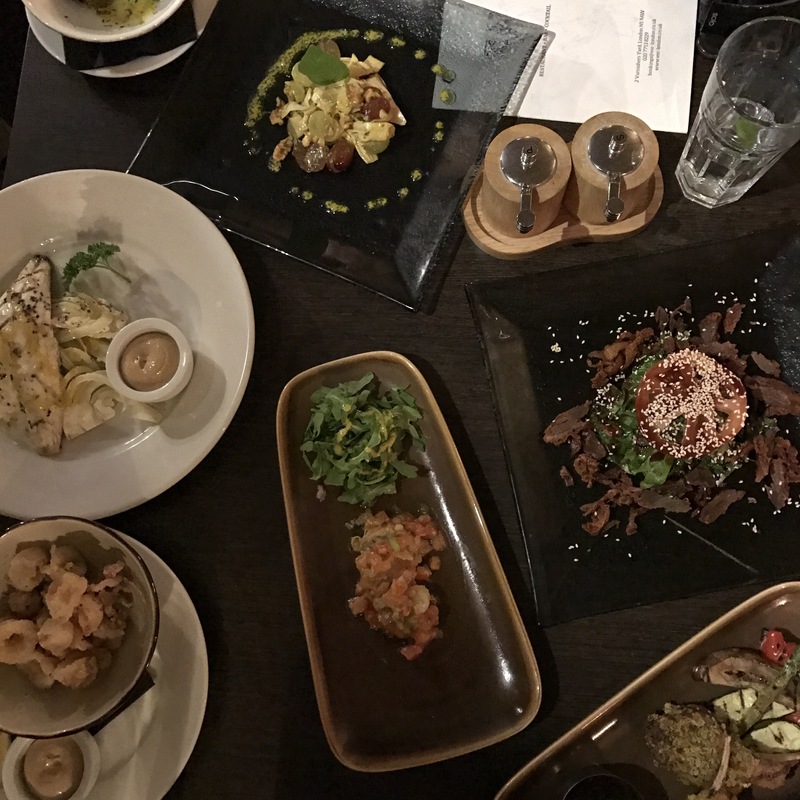 VOC has recently launched a new small plates menu, which was the main purpose of our visit (the other being a long overdue catchup amongst friends). 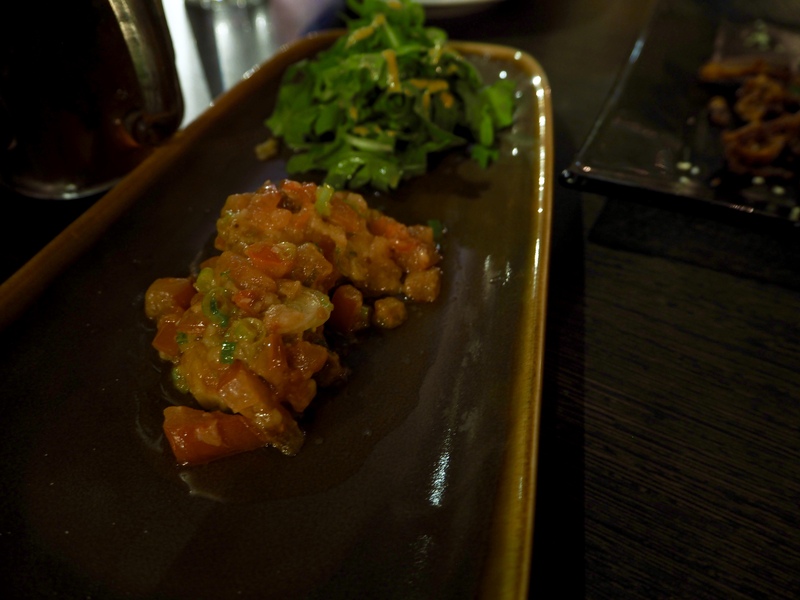 This tapas-style sharing concept has become such a trend with most London restaurants now, including two of my favourites, the Palomar and the Barbary. With VOC, we had some hits and misses with the dishes, but overall, it was well worth it. We started off with cocktails, and this is where VOC truly shines. 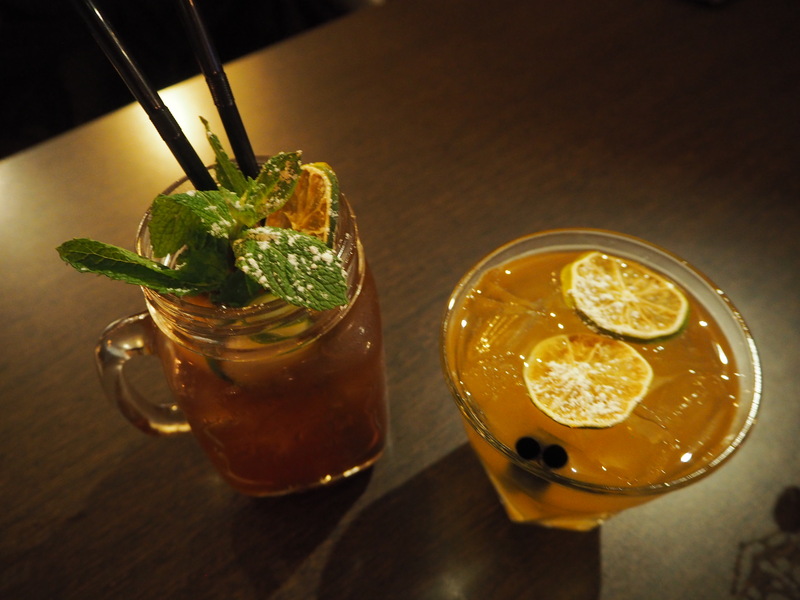 Each one on the list sounded more interesting than the last, both due to their ingredients as well as their creative names, and I finally chose the White Port Tea, which mixed up gin, tea, and lime in an utterly refreshing way. My friend’s whisky Butterfly number was another stunner (though a little sweet for his taste), and I could have happily drunk many, many more of their concoctions! 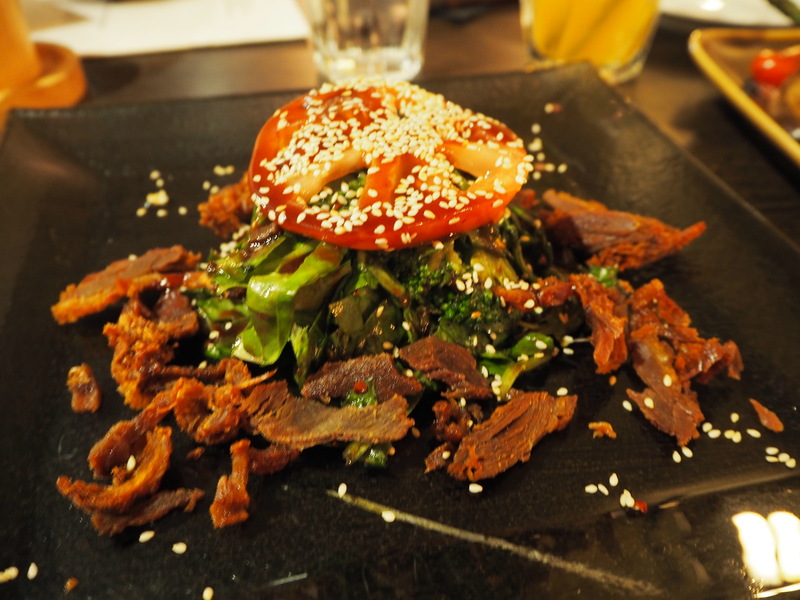 We ordered a range of dishes from the sea, land, and field to make sure we could try as much as possible, and as I was still in my no-meat month, my friend very magnanimously ate the meat dishes to form a more well-rounded opinion. 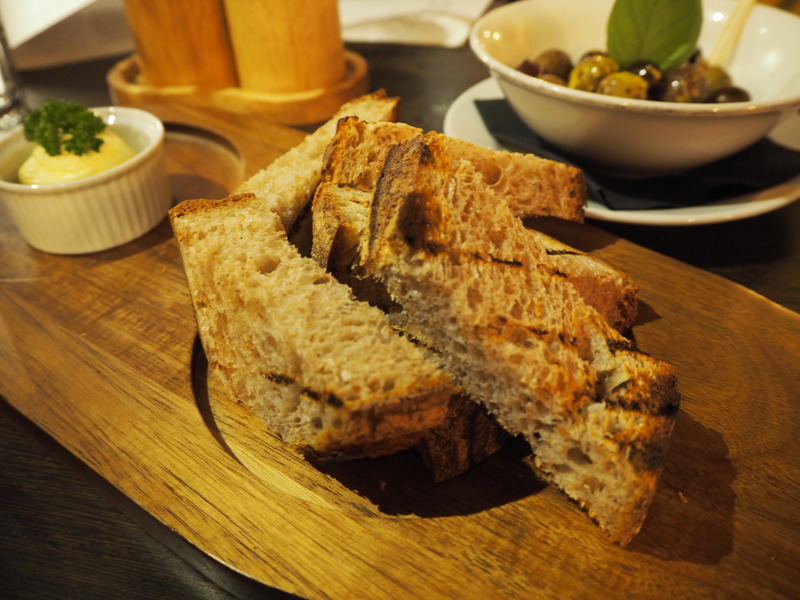 We started off with the bread, which was a lovely crisp and soft sourdough with creamy fennel butter. 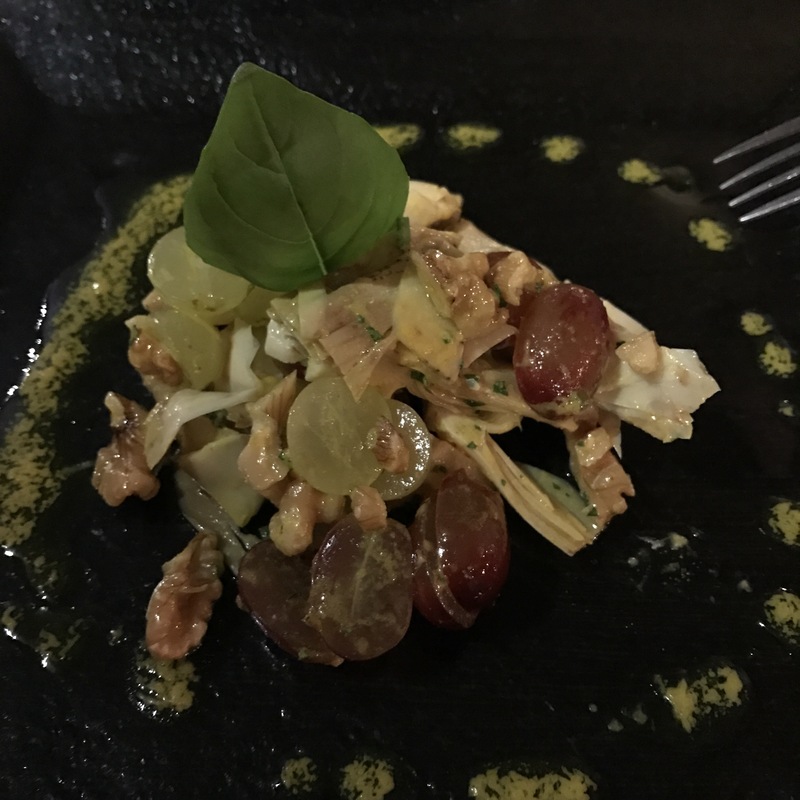 I really enjoyed the Jerusalem Artichoke Walnut – I’ve started eating more artichokes recently and this was a lovely mix of sweet, salty, and acidic flavours. I had never thought to combine artichokes with grapes, but I will surely do so in the future! We had initially steered away from the crispy squid, as it felt like something that we could easily get anywhere else, but our waitress urged us to order it, and we were oh so glad she did. Crispy, delicately battered, delicious little bites of heaven… at the end of our meal we ignored all reason and ordered another portion! My friend highly praised the Scottish Blackface Lamb for tenderness and flavour, but was slightly disappointed by the Five Day Air Dried Crispy Duck, which didn’t quite convince him with the ingredient combinations. I adored the Sea Farer Batativa Scallops, because scallops always make me feel so fancy, but I wish they’d had just a touch less salt. Overall, we really enjoyed all the small plates we ordered, but my friend felt that the sea bass could have had just a touch more spice, especially considering the new menu is inspired by spices originally brought to Europe by the Dutch East India Company (or Vereenigde Oost-Indische – hence the name VOC!). Another thing that slightly put us off was that all the dishes were brought out at the same time, and as we were only two people, some inevitably got cold as we made our way through them. All it needs is just a little timing adjustment! 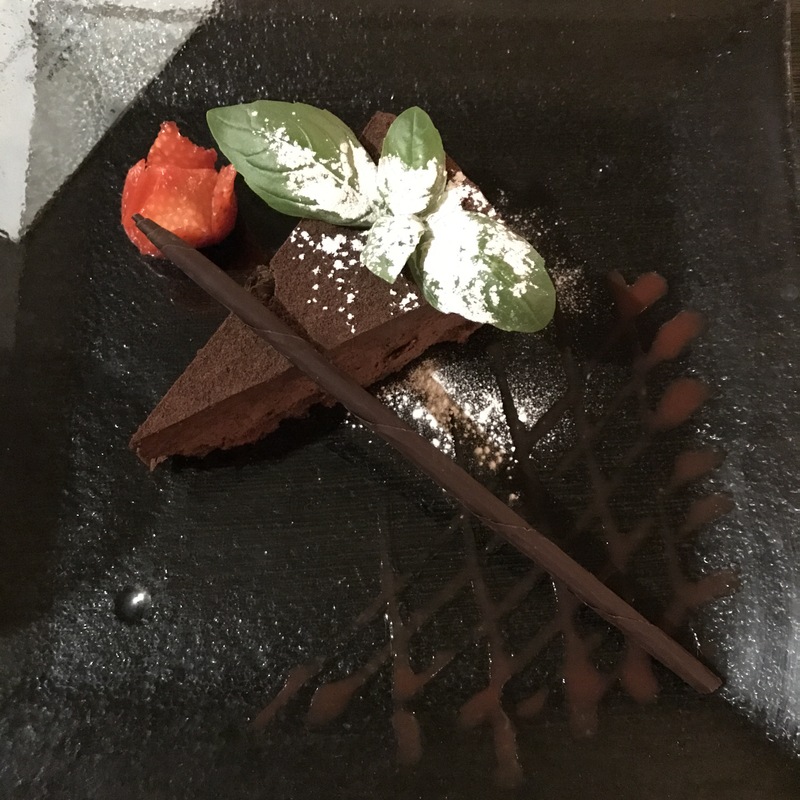 Despite our greediness in ordering a second plate of calamari, we nonetheless decided to indulge in the chocolate mousse dessert. It was rich, creamy, and entirely overindulgent, but I don’t regret ordering it one bit! Washed down with a dry (and generous) glass of Riesling, it was the perfect end to our evening (until we made our way next door to Camino for some foosball and dancing, that is!). If you’re in King’s Cross, VOC Restaurant & Bar a fabulous way to avoid the abundant chains and have a cosy meal with excellent cocktails. The small plates mechanic makes it easy to dial up or down depending on how hungry you are, too! Unfortunately, the cosy vibe and jazzy atmosphere also meant that my photography skills, which are rudimentary to begin with, were no match for the lighting, hence the less than optimal photos… Best to check it out for yourself, and if you have any tips and tricks on photographing in low light restaurants, please do let me know! I was a guest at VOC, but all opinions are firmly my own.